The Virginia GRO Crew is holding GRO Skate Sessions in the next few months! Come skate with the girls. All ages and abilities are welcome. Sundays. March 26th and April 23rd. This park requires all skaters to wear helmets, elbow pads and knee pads. If you don’t have your own gear ask a friend or family member to borrow theirs. 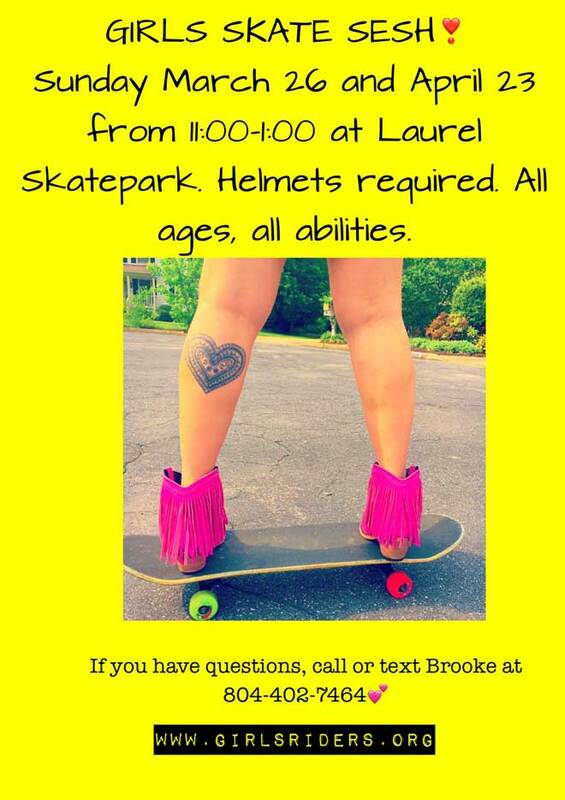 Any questions contact Brooke at 804-402-7464 or email richmond.va@girlsriders.org.